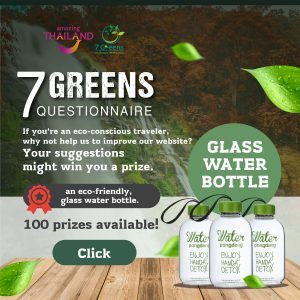 Bangkok (Thailand) – November 5, 2018 (travelindex) – The Tourism Authority of Thailand (TAT) invites everyone who would like to see sustainable tourism in Thailand to express their ideas about green tourism and provide information that supports the needs of Eco-conscious travelers on the website www.tourismthailand.org/7greens. By answering our questionnaire about website usage, you can help TAT improve and develop its website to meet the needs of nature-loving travelers. Moreover, you’ll have a chance to win a reusable water bottle. Answer the questionnaire then share the activity on your Facebook timeline, set the post as public and keep your fingers crossed! Offer open until 15 November 2018. 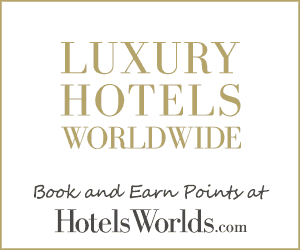 Winners will be announced on 22 November 2018.